This beautifully renovated and spacious 3-bedroom, 3-bathroom home, plus a separate office and private terrace is perfect for modern living. Apartment 8B faces south and west with open city views and incredible sunlight streaming through the over-sized windows and terrace. The large windowed kitchen has black granite countertops, marble tile backsplash, a Wolf oven, Miele dishwasher and Sub-Zero refrigerator. In addition, there is a separate washer/dryer mudroom and wine refrigerator. The master bedroom has a walk in closet and large en suite bathroom with a sizable shower and separate custom dressing vanity. All bedrooms are well designed and all bathrooms have been fully renovated. The apartment has wood floors throughout the living areas, recessed lighting and tons of built in closets. 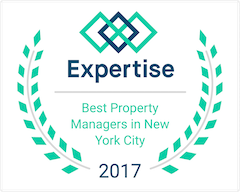 The Bayard House is a luxury building located in the epicenter of the Upper Eastside at 72nd Street and Third Avenue, with a full time 24 hour doorman and concierge services. Amenities include a roof deck with 360 degree sweeping city views, beautiful landscaped gardens, a live- in super, fitness center, parking garage, bike room and luggage storage. Building allows pets, pieds- a -terres, co-purchasing and guarantors.